There’s no denying that California whitewater rocks. Lazy days floating in tubes? Check. Class III whitewater for kids? Yep. Multi-day and scenic adventures? Done and done. Oh-and some of the most challenging Class V madness in the country, too. Browse rivers by type of trip–from kid and cooler-friendly floats, to high octane hydraulics. 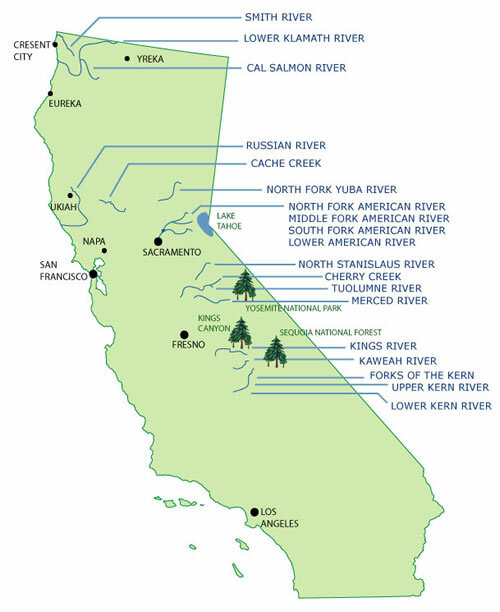 Size up California rivers–compare rapids, season, and location to help choose your next run. Learn the essentials of whitewater gear–from paddles to PFD’s and everything in between.